One of my absolute favorite parts of summer is when it’s time to make everything zucchini!!! I love sneaking zucchini into muffins like my apple zucchini mini muffins, but I also love to create an entire dish where the star of the dish is the zucchini. In my zucchini lasagna this is definitely the case. Plus, it’s healthier than using wheat noodles. As many of you know, I do not claim to be a master chef. I’m learning a ton on this journey and when I finally figured out the layers of a lasagna it was so much easier. 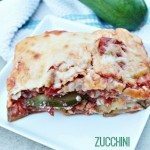 The most difficult part for me was building the layers so since this involves zucchini I wanted to make it super simple for you. 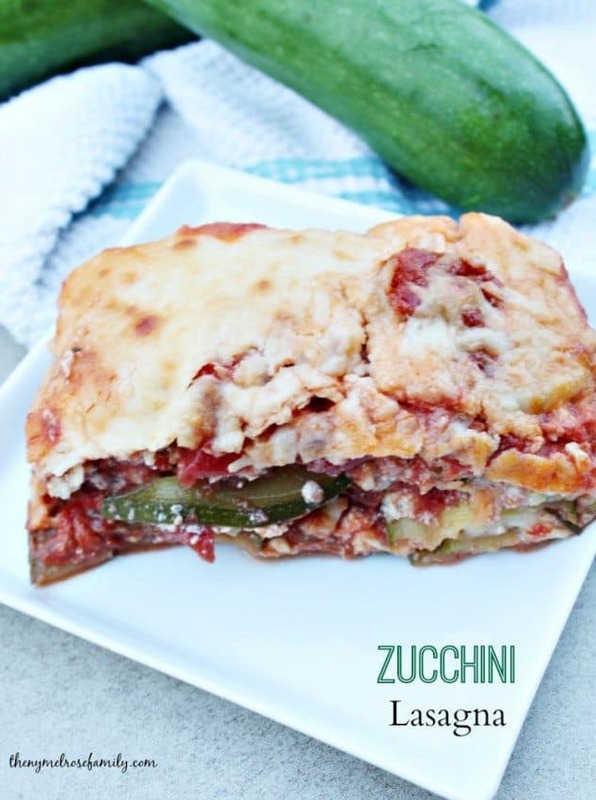 Here’s a quick video on how to create that perfect Zucchini Lasagna. 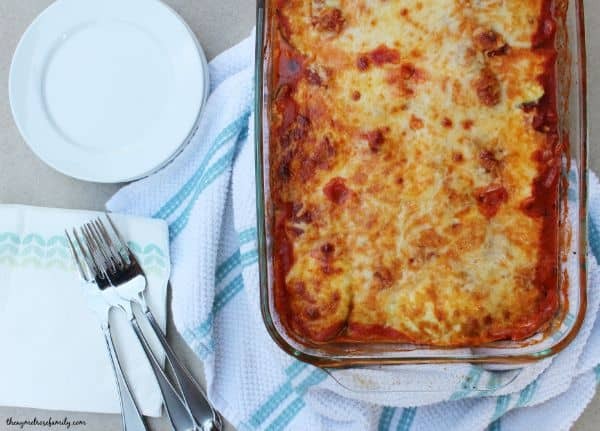 You can always play with your flavors, by adjusting your sauce or the ricotta layers in your lasagna. I’m giving you a two for one recipe today because I finally feel like I’ve figured out how to make a good spaghetti sauce. For the longest time I always relied on Joe, my husband, for his sauce, but he might very well be sidelined for a while. My mandoline gets the job done, but I need to put one that is a bit sturdier on my list for Santa. I’m thinking this one would be a lot less tedious and probably safer since you all know how accident prone I am. Regardless, a mandoline is definitely necessary to get the job done. I love my zoodler though too. Since the 21 Day Fix program limits the amount of carbs you can have, I’ve tried to switch them out with zucchini so I need all the gadgets. 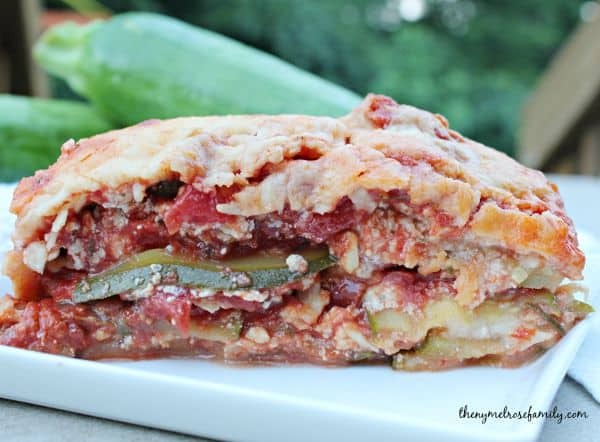 A quick and easy zucchini lasagna recipe that boasts of summer's harvest.